We are pleased that the next meeting of our networking group for local business people will be on Thursday 8th February. 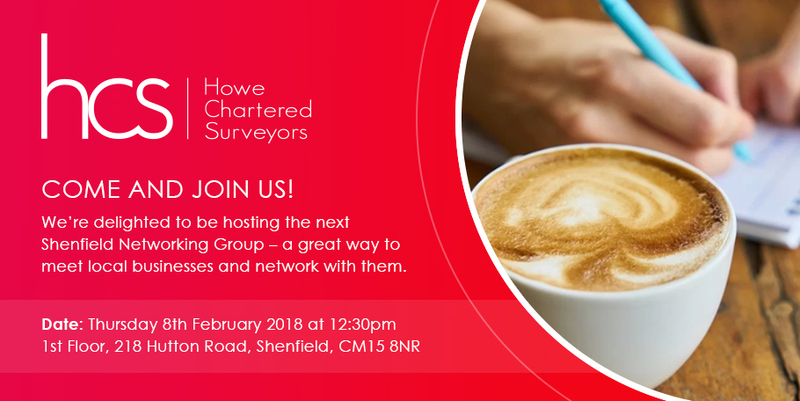 It will be an lunch event 12.30-2pm, held at Howe Chartered Surveyors, 1st Floor, 218 Hutton Road. The cost is £10 (cash on the day) to include lunch and networking. If you bring a new member to the meeting then your entrance is complimentary.